Entertain the crowd at your upcoming event by booking Lazo. 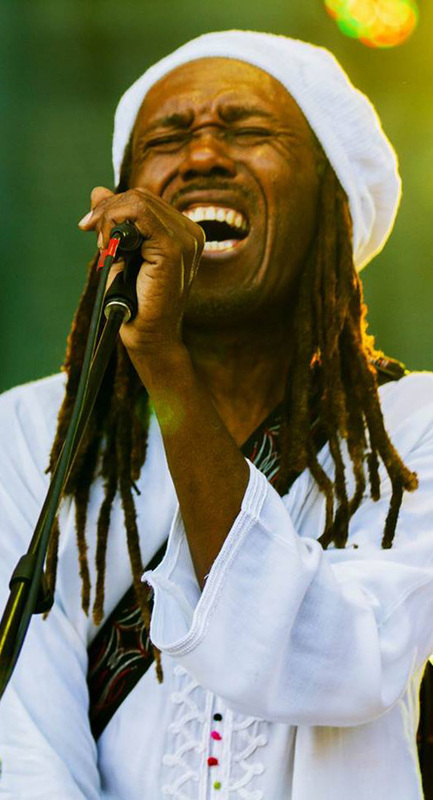 As a talented reggae artist and experienced performer, he knows how to get people up and moving. Likewise, he's an incredibly informative public speaker and isn't afraid to discuss different topics with audiences. From music and performance to current events, he'll open up about his experiences and knowledge. You won't regret booking this incredibly insightful performer. For this package, Lazo will perform at your event with a 4- to 8-person band. He will entertain your guests by singing his original songs and incorporating music created by different artists at your request. Lazo recommends this option for individuals who are planning weddings. If you prefer him performing solo, this option is for you. Lazo will put on a show for your crowd by using backing tracks in the place of his band. He recommends booking him for a solo gig if you are looking to save money. The Exodus Show is his most impressive performance option. To give your guests a live entertainment experience that they will never forget, Lazo and an 8- to 10-person band will perform Bob Marley's greatest hits. This tribute show can only be done at a theater or on a large stage. So, you must make sure you have a sizable venue for him and his band to complete the performance. This performance is worth every penny! Lazo can also come to speak at schools and libraries to talk to children and young adults. Because of his background in music, political science, and history, he can discuss many different topics with ease. He especially enjoys speaking to kids during Black History programs and environmental events. During these particular gatherings, he can help children of any age learn more about Black people's rich past in a way that's fun and interesting. He is also able to assist boys and girls with writing lyrics and creating their own music. When it comes to cost, your price will depend on the option you select and the length of the performance or speaking engagement. Lazo also bases his fees on the number of set pieces and sound equipment he'll need to bring, and the number of people that will be necessary for the gig (band size). For charity events, such as fundraisers, he is flexible with the pricing. He will work with you to adjust the pricing to fit your budget. Contact him for more information.